A paint party with instructor and all supplies included will be open to the public Saturday evening, June 13, 7 to 9 p.m., at Carriage Factory Art Gallery, 128 E. Sixth St., Newton. 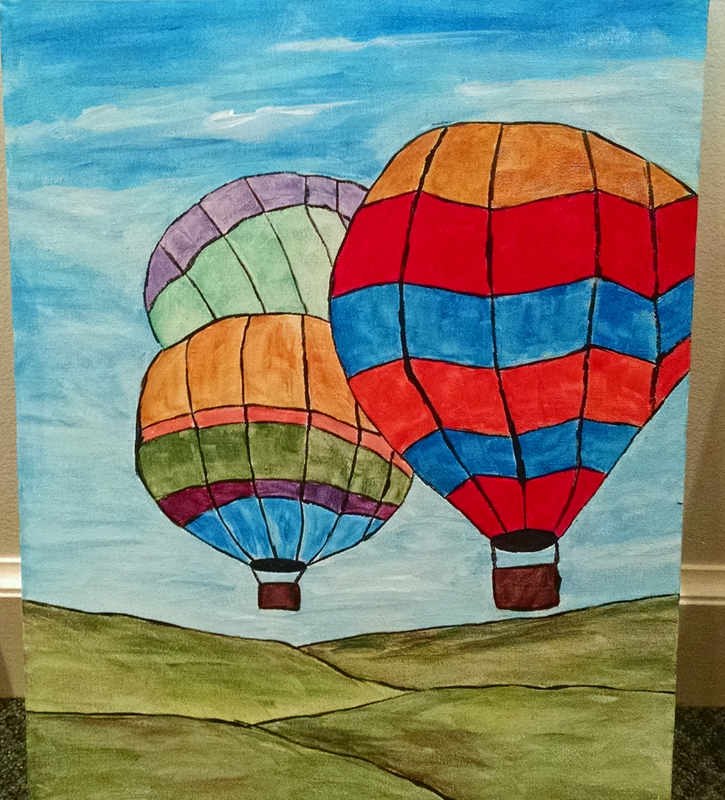 Instructor Sue Bechtel will lead participants in creating their own 16 x 20 acrylic paintings of hot air balloons. The cost for instruction and supplies for the June 13 event is $40 per person. “We’re inviting participants to bring potluck snacks, and we’ll provide the beverages,” added Snider. In addition to paint parties that are open to the public, private bookings are also available for both adults and children. Children’s parties are $20 per person. For more information or to make reservations for June 13, contact the gallery at 316-284-2749. Carriage Factory Art Gallery is housed in a two-story carriage factory founded in 1883. It is listed in the National Register of Historic Places.The gallery offers workshops in various art media throughout the year. In addition to rotating exhibits that feature regional art for sale, the gallery includes a consignment sales gallery of 50 local artists, gift shop and a collection of paintings for sale by renowned American impressionist Albert H. Krehbiel. Normal gallery hours are Tuesday through Friday, 12 to 5 p.m., and Saturday, 10 a.m. to 5 p.m.